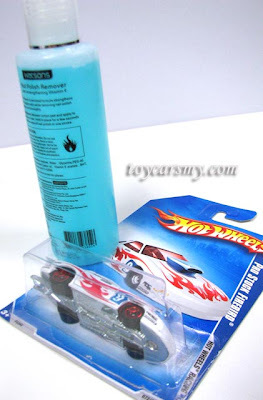 I'm trying out the new method the remove the Hot Wheels blister cover using nail polish removal, although the recommended method in the forum is using acetone. 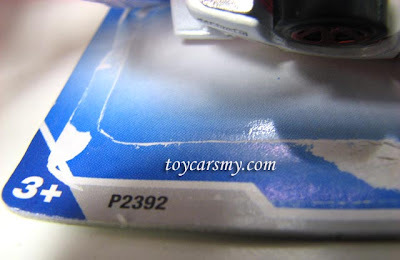 Few dips of the nail polish removal liquid at the back of the card to let it absorb into the paper. The liquid not as strong as alcohol and it took awhile to dry. The end result, failed, despite it removed a little. As conclusion, this is not the right method to do it. 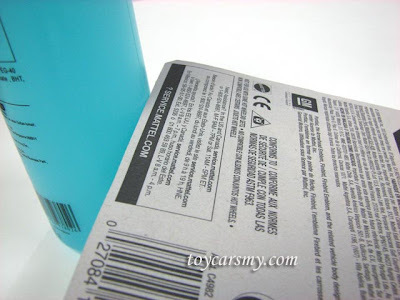 Will try again with acetone or alcohol from the DIY shop.